Very well known poster artist with a flat colour distinctive style. Produced many posters for London Transport (1914 - 1940). 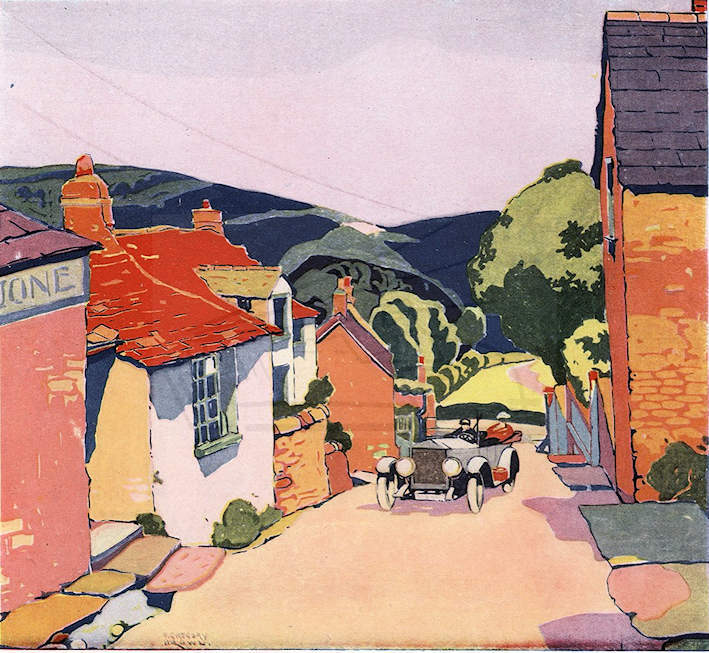 Illustration for Colour magazine January 1918 of Boscatle High Street. Image courtesy of Peter Moss.